You'd never guess what some people throw away: statues, books, paintings and much, much more. In fact, the treasure that gets found in the trash is the subject of a private museum located in East Harlem (USA). 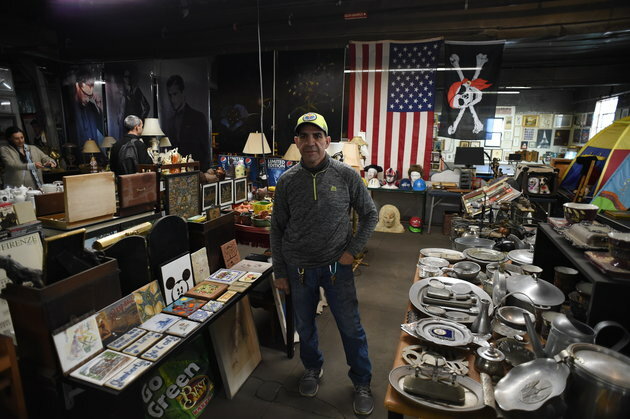 The second floor of a Department of Sanitation garage in is home to thousands of objects New Yorkers have thrown away over the last three decades, collected, cleaned and curated by sanitation worker Nelson Molina. Related: "People are often surprised to hear the truth about what's lurking in their bins"
The Treasure in the Trash Museum is an amazing look into the fate of tonnes of items that get thrown "away" each year. When workers rescue the items, they are prohibited from taking them home. They are, however, allowed to keep display the staggering wastage in their own private gallery. The collection has been built up over 20 years and is enjoyed by the staff members, but is sadly closed to the public (although it IS possible to request access from the city). We hope that initiatives such as these help to remind people that sending junk to landfill is an unsustainable and wasteful option. Rather than tossing unwanted goods into the general waste, consider whether an item can be sold, donated, swapped, recycle or reused. Sending things to landfill should always be a last resort!